Plansee has had its own sales organization in China for more than 20 years. As the importance of this market has grown, the next logical step was to set up their own production location, which has just opened near Shanghai. Plansee China Nowadays, China is home to a large number of key industries. Quality expectations and technological standards have risen considerably over the past years. Major players from the West are now also producing in China. Richard Cheung, managing director of Plansee China: "The ability to source locally is becoming an increasingly important factor for our customers. We have responded to this demand and can now offer Plansee components that have been produced locally." Plansee China supplies manufacturers of high-temperature furnaces and customers from the power engineering and distribution, automotive and medical equipment sectors. At the Lingang industrial zone, some 40 kilometers from Shanghai, tungsten balancing weights and shieldings, tungsten-copper and copper-chromium switch contacts for power transmission and distribution equipment, and molybdenum and tungsten hot zones and crucibles for high-temperature furnaces are produced. The same, reliable quality under a new roof. 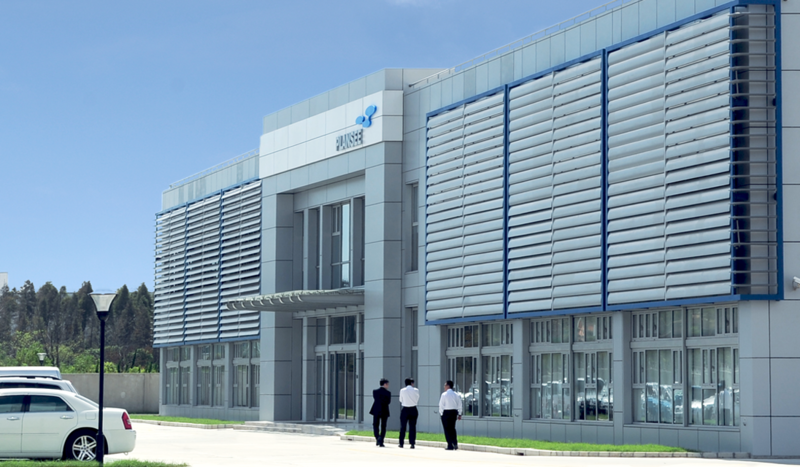 The production location in China is brand new, but as far as production expertise is concerned, it draws on Plansee's 90+ years of manufacturing experience. Right from the start, the intention was to manufacture products locally for the Chinese market to the same high quality standards that customers across the world value so highly. Staff from all Plansee locations were on hand to provide support in specifying and selecting the equipment and putting the new employees through an intensive training program.